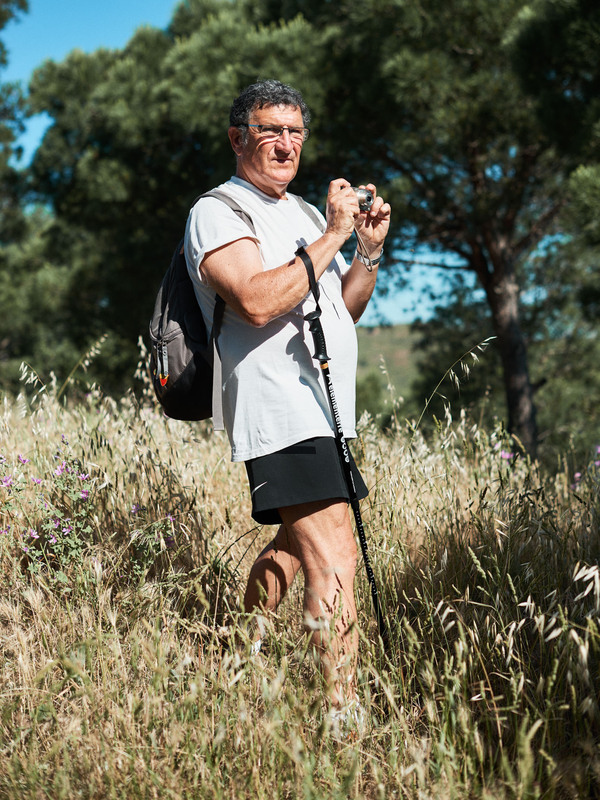 A senior hiker posing for the photo while taking a picture during a walk in the trails behind Cosprons, via the Perdigue pass, and the Del Mitg pass. Port-Vendres, France. June 8, 2018. Un randonneur senior pose pour la photo tout en prenant lui-meme une photo pendant une marche sur les chemins derriere Cosprons, via le col de Perdigue, and le col Del Mitg. Port-Vendres, France. 8 juin 2018.